On paper, investing in stocks is as easy as purchasing assets from companies that create income, gain value, or do both. In reality, though, making such smart moves is pretty difficult especially given the fact that there are thousands of stocks to sift through. A good stock picking service seeks to help you overcome that challenge by helping you narrow down on a handful of stocks in line with your style of trading. However, much as they come in handy in improving the quality of decision-making, each has its own merits and demerits. The following review of 7 such services aims to help you independently decide who to trust in an otherwise noisy marketplace. 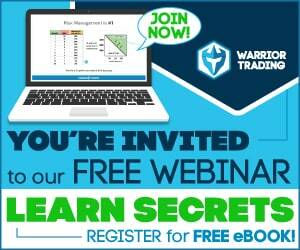 No other trading service on the net has a better chatroom than Warrior Trading. I mean, they have the best moderators and the conversation is always enjoyable and easy to understand. But away from the chatrooms, they have a fully-fledged system that connects you to daily audio and video feeds. That’s alongside expert market commentary from professional traders and access to a proprietary news feed. In addition, the company provides you with a daily stock watchlist plus (wait for it) live streaming stock scanners. Basically, the moment you enroll for WT, you’ll be guaranteed of a watchlist comprising 3 to 5 high potential trades every day. 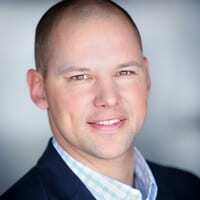 To develop these stocks Cameron Ross and his team scan news developments on platforms such as Market Watch, Benzinga, Seeking Alpha, and Bloomberg. If this is your first time trading stocks, you might easily feel overwhelmed by the dozens of stocks available each day. That’s because you’d need to manually check the NYSE and NASDAQ. Fortunately, the good guys at WT are always there to employ state-of-the-art market scanners for you and ensure that you receive prompt alerts. Read full review here. Investors Underground is home to dozens of daily alerts and so you’re sure to learn something new every day you’re on board. First off, they normally post a blog article every day identifying the ideal daily stocks. Basically, this post outlines the trade setups and gives you a detailed game plan for the rest of the day. Besides that, the IU team occasionally shares profit charts to enable traders to better understand how the entire chatroom profited from those alerts. All you need to do is sign up for the email alerts and the blog post will be emailed to you as soon as it’s published (once a day). And if that isn’t enough, you can always hang around for the video lessons which are posted every so often recapping the daily trading sessions. In a nutshell, IU is an awesome platform for you to build your confidence. Their services are, however, pretty basic. For instance, they don’t send real-time alerts and neither does their service have an SMS alert option. That means you have to stick around the chatrooms since this is a platform run by reactive traders. Read full review here. Tim strongly believes that that the best style of trading is one that not only identifies the right entry and exit points but also one that links you up with the right stocks. And with a trading background spanning close to 2 decades, it’s no doubt that Timothy Sykes is one of the most accomplished traders around. The Tim Alerts package remains one of the most sought-after services so far. The service costs $697 per year (or $75) per month. Usually, Tim sends daily stock watchlists at 8 am along with followup emails. What’s more? You’ll receive one-on-one updates on every trade that Tim makes throughout the day – and this happens just seconds after the actual execution. This stock picking service is designed in such a manner that it sends you real-time SMS, push alerts and emails. That goes a long way in ensuring that you never miss a pick. What’s more? This service comes with a fully-fledged Android & iPhone App service. That’s alongside 4,400 video lesson library and weekly video lessons which are exclusively found within the PennyStocking Silver package that goes for $150 per month. Read full review here. What if you could get the latest stock picks from a trained financial analyst with over 15 years of experience? That’s what the Superman Trades service by Paul Scolardi does. For a monthly fee of $147, you’ll be a part of the select few who access real-time email and SMS stock alerts from him. In addition, you’ll enjoy unlimited access to an interactive chat room where you can get additional picks from other forum members (although we’d advise you to avoid these until you stabilize your account). Then there’s the daily premarket stock watchlist which comes alongside weekly video lessons, earnings tracker, IPO tracker and premium research tracker under the Superman Pro plan. Please note that the Superman Pro plan goes for $247 per month which is $100 more than the basic Superman Alerts package. Another thing you need to take note of is that the Superman Trades service falls under the Profitly platform which is fully owned by Timothy Sykes. Read full review here. If you’re looking for a stock scanner that exists as a standalone service, then you’ve got to love what Trade Ideas has to offer. The platform is based on a system that automatically scours through dozens of stocks in real-time. Basically, this provides you with a non-stop flow of ideas throughout the day. And the good thing with that is that it gives you the opportunity to come up with your own strategies. Ultimately, this provides you with extra freedom and flexibility. You don’t need to sit down waiting for a guru to send you some alerts. All you need to do is access your Trade Ideas platform to keep up with the latest stock scans at your own pace. We’d particularly recommend TI to the busy folks in the house. So, if you have a 9 to 5 job that you still want to keep as you grow your portfolio, this is certainly something worth getting. Read full review here. Day Trading Academy is a unique service because it takes what we’d refer to as a bare-knuckles approach to identifying stocks to trade. The trading school is home to some of the finest trainers in the world led by Marcello Arrambide himself. They’ve been featured on sites like Yahoo Finance and Investopedia as one of the best learning, especially for beginner traders. One thing we really like about them is their emphasis on learning as opposed to entirely relying on software services. So, if you prefer more of a hands-on approach to trading as opposed to having an AI bot scour the markets for you, we’d recommend DTA for you. In fact, we’d generally recommend it to all beginners who are willing to dedicate their time to learn the art of trading in its purest form. That said, DTA is a no-go zone for anyone looking for a quick, easy way up. Read full review here. If you’re a trader who is interested in holding onto stocks for several days before they turn profitable, look no further than Microcap Millionaires. For an annual fee of $97, you will gain access to real-time alerts and weekly picks. The weekly picks are normally sent via email and as long as you’re patient, some of these can help you make some pretty big wins. What’s more? Matt, the guy behind this program, will always be there to tell you when to enter and/or exit a market. 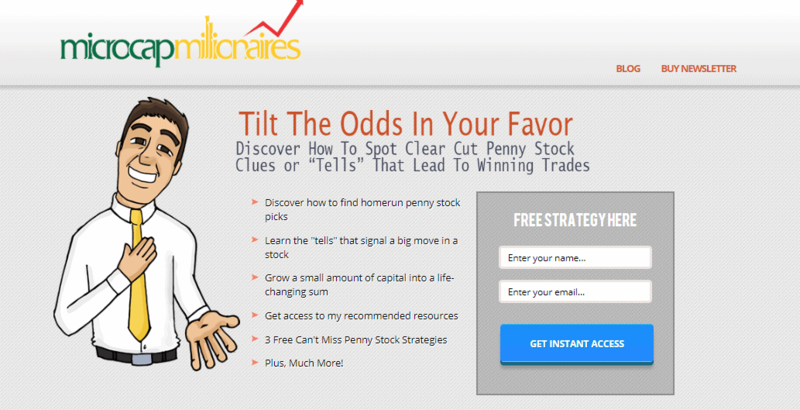 Basically, Microcap Millionaires is designed to take the guesswork out of stock trading. And this gives you the opportunity to perfect your trading style and boost confidence. One thing we love about this service is that all picks are usually accompanied by in-depth technical analyses. That’s to say, if you’re in doubt, it’s always possible to cross-examine the process behind the selection of particular stocks. Therefore, you can always decide to go it alone if and when necessary. Read full review here. Don’t take shots in the dark. You simply need to pick one stock picking service that complements your style of trading and stick with it as you learn the ropes. As we have shown you above, each one of these 7 has their pros and cons. So, it’s not a matter of finding the perfect one of them all but rather settling for one that complements your style of trading.